It's still winter... right?! This is another one of those posts I planned on sharing before I was sick for two weeks =/. 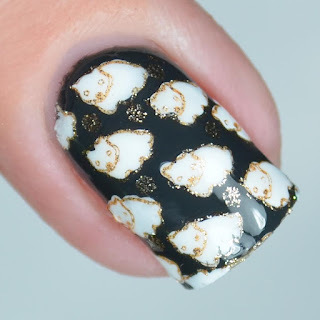 These cute little polar bears were my birthday mani back in January. For this look I started with a base of KBShimmer Goal Digger and Zoya Noot. The little polar bears were stamped with gold and then filled in on the stamper head. Once they had fully dried, I painted my nails with a quick dry top coat and gently transferred the image over. 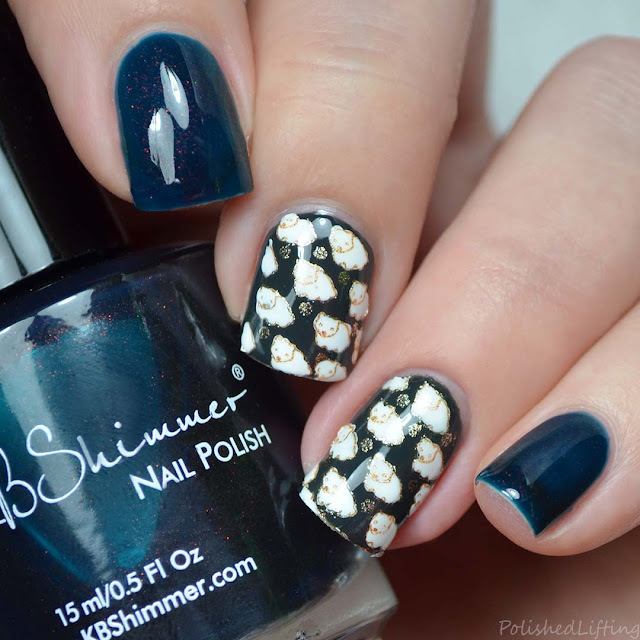 I adore this stamping design, but I don't love how the gold stamped. In the future I think I would pick a more opaque (finer pigment) polish for stamping. If you enjoyed this post you might like Digit-al Dozen All That Glitters | Sea Turtles feat. Firecracker Lacquer and City Nail Art featuring MoYou London.